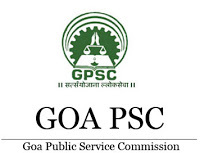 Goa PSC Jobs Recruitment Notification 2018.Goa Public Service Commission, Goa PSC inviting applications for the positions of Assistant Professor, Professor, Multiple Vacancy.Interested and Eligible candidates can apply for the positions. Last Date for Submission of Application is on July 27th, 2018..
1. Essential: Bachelors and Masters Degree in appropriate branch of Fine Art (Applied Art) or equivalent with First Class or equivalent either in Bachelors or Masters Degree. Knowledge of Konkani. 1. Essential: A recognised medical qualification included in the First or the Second Schedule or Part II of the Third Schedule (other than licentiate qualifications) to the Indian Medical Council Act, 1956. Holders of qualifications included in Part II of the Third Schedule should also fulfil the conditions stipulated in Section 13(3) of the Indian Medical Council Act, 1956. Post-graduate medical qualification in the speciality concerned or equivalent. At least 3 years’ teaching experience in the concerned speciality as Senior Resident/Registrar/Tutor/Demonstrator in a Medical College/Teaching Institution. Knowledge of Konkani. The last date for filling up the applications is 27.07.2018.